and much more just to list a few. You can also play with USB wheels if i was you i would get a Logitech g920 or a g27, they may be expensive bet is worth it. 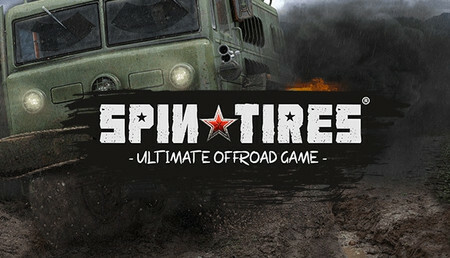 Game is really nice and fun and I enjoy in it.Game gives a lot of options for customizing a truck and a lot of truck to buy.It's well optimized and I can play it without a lag.Overall it's a nice game but only problem is thaht game becomes really repetitive. Personally love the game. If your looking for something to just play and relax this is defi the game for you. Lts of trucks and places to drive to and the game is very logn so you have something to look forward to everytime you return! Simply one of the best games I've ever played. Started off by playing the BETA version years ago, have been liking it ever since and now have decided to buy it. Instant-gaming definitely offers a superb price on the game and have trusted them for a while now so why not. Steam-key was send immediately and had no problems to install it whatsoever. This game is possibly one of the most relaxing and immersive games I have played. I didn't think a truck simulator sounded like fun either until I played it! 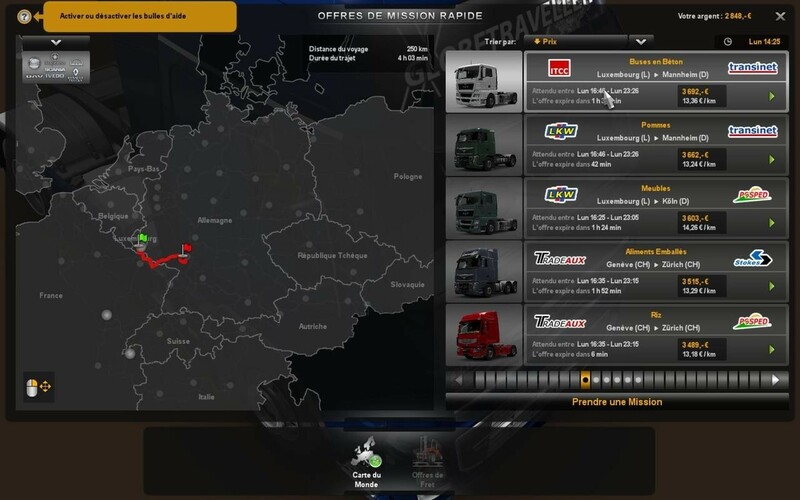 Just cruising around thousands of kilometres of a scaled-down map of Europe with interdispersed cities and landmarks, customising your truck, having to refuel, sleep, in-game radio (with custom stations) and more just makes the experience so much more realistic. There are some really beautiful vistas too along the way, it is just a joy to drive (use a wheel if you have one!). Throw in workshop mod support and a developer who has supported this game constantly in the more than five years since it was released (new map expansion is coming soon and in-game event with rewards just released!) and you have the complete package. Wait for a sale so you can grab a couple expansion packs on the cheap and settle in for a long drive. 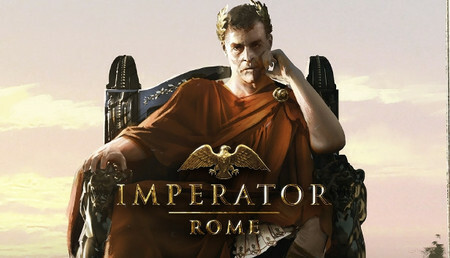 Interesting game, excellent graphics and I'm suprised that keybord+mouse controls are very easy. 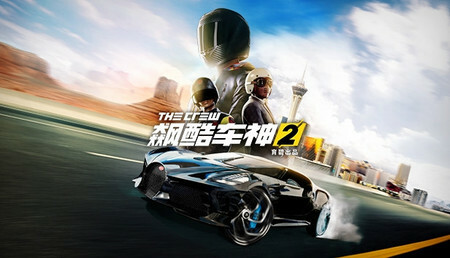 Recommend you to buy this game, but if you want to play realistic games, better buy this game AND gaming set of steering wheel and so on. Not as expected, maybe the boring game for playing more than 1 hour. The graphics in the game are good, much better than in ETS 1. Good amount of cities maybe but cons is because we don't have all countries in the Europe yet! 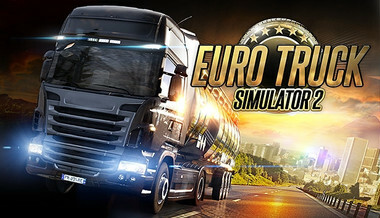 This is very good game for this money.All best for this Game.I'm purchased Euro Trucks Simulator 2 from Instant gaming.Its very very fast.No problems with activation.Good support for this game.Instant gaming is best site for buying games !!! Un simulatore davvero molto molto divertente, ci sono tanti DLC a renderlo completo, ma nel caso non dovessero bastare basta cercare in rete una delle mille mila mod disponibili! Amazing, I am very pleased with the fast delivery. It was not too expensive for the stuff you get in the bundle. 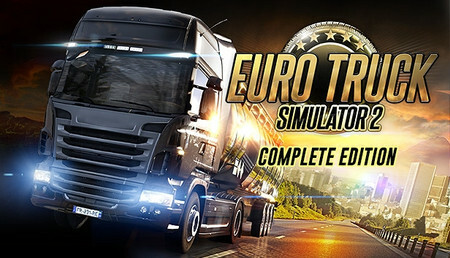 All games that you get inside the bundle are just as amazing as Euro Truck Simulator 2 game. Hello! My friend suggested this site and i checked in and saw euro truck simulator 2 at really nice price and bought it. Really good and cheap site to buy games from. I will use this site in future again. Thanks! SCS Software's been around for ages now, and they don't dissapoint no matter what game it is that they release every few years. Euro truck isn't an exeption. It's a truly immersive simulator that puts you behind a truck of your choice, I'd even call this game revolutionary, in some occasions. It's a great game and even tho it sometimes takes a bit long to complete a mission, it's a beautiful game and I really enjoy while driving and learn a lot of things about driving and rules! Nice game, with many truck and cities.Game is very realistic. You can have your own company and employers. In game there is a bank and if you want they have credits (that can be useful in start if you don't have money for a new truck). Love this game. Very chill. It is very realistic and love that you have to abide by the laws of the road. Spent a long time on this game without realising. The graphics are amazing. Great radio tunes. Very great game. If you want some relax, its the game you need. SCS keeps updating the game, adding new vehicles, DLC`s and other stuff. I would recommend it to everyone, price is very low for that kind of game. The game is fun and relaxing. The graphics is great. Whenever you want to relax and just "see the world" you get into a truck and drive away. The options for customizing the trucks are various. I recommend this game. Want to get some relax? Euro Truck Simulator 2 is the game just for your needs! This is a great game when you want to relax. Big variety of trucks. SCS Software keeps updating the game, making new dlcs and adding new trucks. The graphics are pretty decent but could be a bit better. There are lots of roads and cities to explore. And as (unofficial) MultiPlayer was released the game got even better! Really good game.Fast,easy and cheap way to buy any game.From 1/10 thig page is 15.Good work guys i share link of your page soo you gonna get more pleased users.Sure i gonna buy more games here. Very great game. It keeps my busy and helps me keep my driving skills sharp. I love playing the multiplayer mod with friends, making massive convoys. Overall, the game is great with more pros than cons. Needs more of Europe mapped but this is actually a very fun game. I recommend it. Gives me a similar kind of pleasure to what TDU2 did strangely. You get to drive a variety of trucks around Europe as the name suggests, quite relaxing and satisfying to get a delivery done and cash in dem sweet, sweet moneys. Truck driving, a lot of it. Can manage a whole company with lots of drivers and trucks. Good customisation, especially with DLC. Fairly large parts of Europe are missing from the map. You should definitely buy this game it is worth every penny! 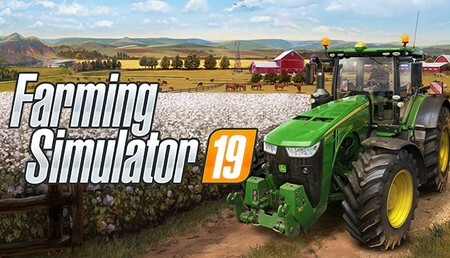 If you are truck fun and want to have some relaxation then you should play this game because it is so nice optimized and as always patched! I appreciate how much detail the develops have put in to make such an elegant game. In May 2014, ETS 2 was update out of beta with patch 1.10. 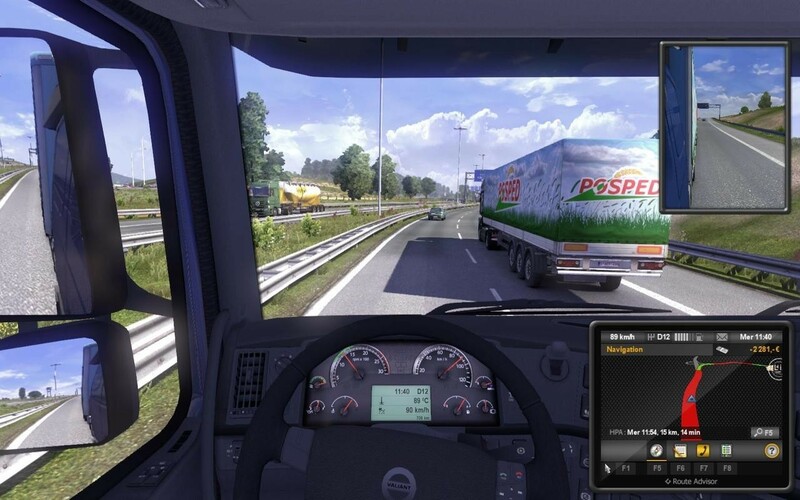 In July 2014, ETS 2 released an open beta of patch 1.11 on steam. The full patch contains 3 new cities in Austria and Italy, along with an improved layout and UI, a way to adjust your seating in the cabin, and a feature that allows you to sell/trade your garages. 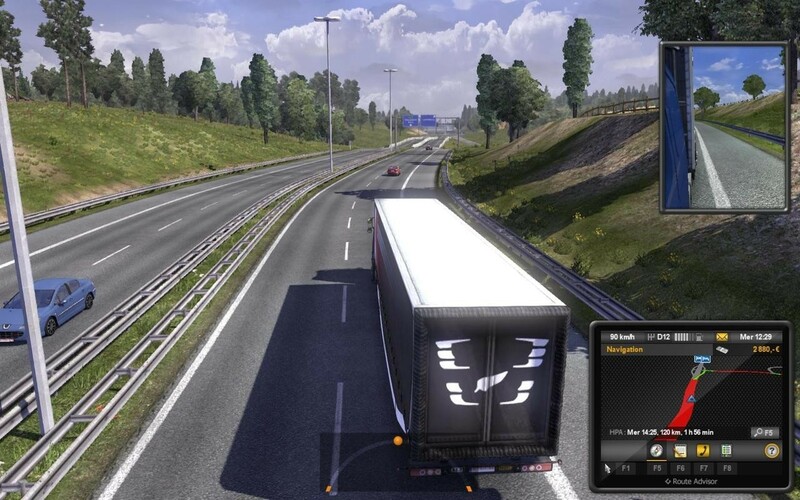 In January 2015, ETS 2 was updated with support for 64 bit. In January 2015, ETS 2 was officially released for OSX.